We're kicking 2019 off with a bang! Introducing the Notorious collection, this 23 piece collection is based around the lifestyle of Serge and takes massive inspiration from the far away beaches of Rio De Janeiro captivating some of the most iconic religious jewellery designs whilst showcasing up and coming trends for 2019! This collection consists of pieces perfect for layering as well as statement chunky chains which will get those heads turning all day long and allow you to channel your inner Rapper minus the ice! Always remember when it comes to jewellery less isn't always more, ENJOY! Serge DeNimes is a design-led brand, providing exclusive seasonal collections of urban apparel and accessories of premium quality. The founder, Oliver Proudlock has had two passions from a young age, fashion and art. They were the two constants in his upbringing, with his mother, a designer and photographer. 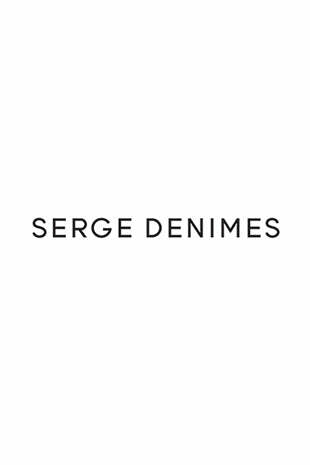 Serge DeNimes is the expression of his creativity and ambition that continues to innovate and create trends inside the streetwear fashion world.